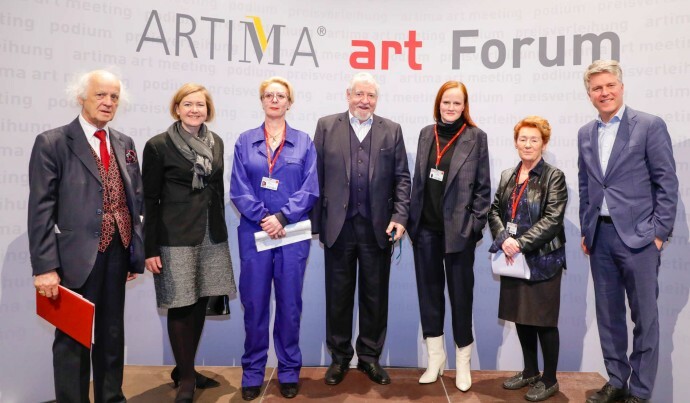 art KARLSRUHE is strongly committed to honouring artistic creativity and art mediation, and to putting them into the focus of attention. This is why three endowed prizes will be conferred: two of these awards are destined for a gallery owner and an artist represented by that gallery; the third prize is for an artist and that artist’s opus in the exciting field of writing and painting. 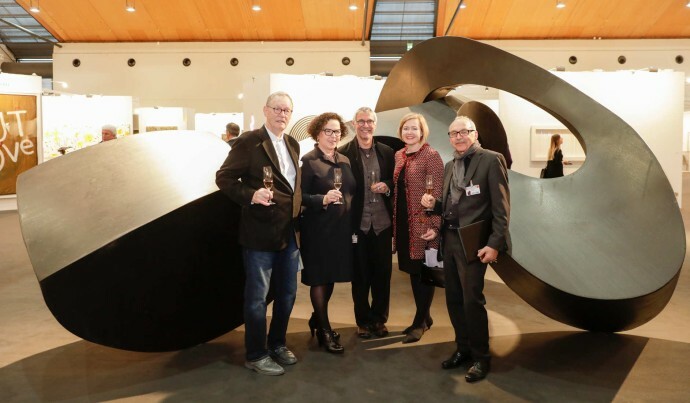 The jury annually selects and honours a gallery owner and an artist who jointly staged a One-Artist-Show. 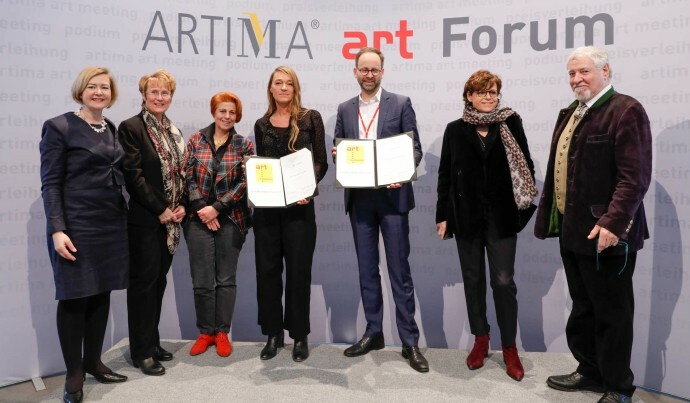 The prize money, which is made available by the State of Land Baden-Württemberg and the City of Karlsruhe, finances the purchase of artworks from the presentation shown at the fair. 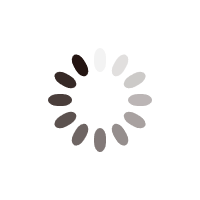 Once again in 2019, art lovers excitedly await the announcement of the names of the gallery owner and the artist who staged the most convincing One-Artist-Show. The Hans Platschek Foundation, which has annually conferred its art prize at art KARLSRUHE for more than a decade, commemorates the painter and author Hans Platschek, who passed away in the year 2000 and surely ranked among the foremost pioneering and reflective thinkers and critics of artistic positions after the Second World War. 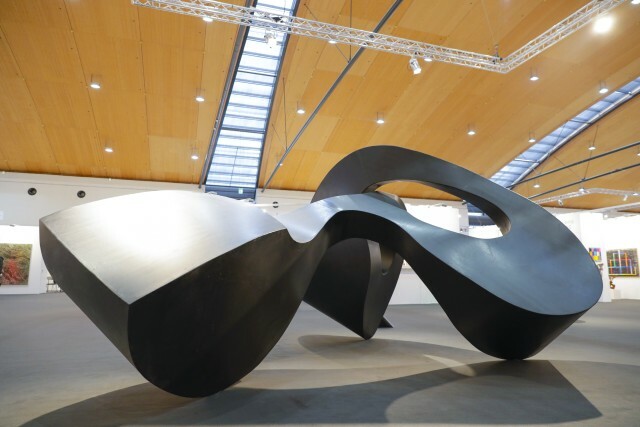 Loth Sculpture Area Prize – Sponsored by the L-Bank will be awarded for the second time at art KARLSRUHE 2019. Its winner is the most outstanding presentation among the Sculpture Areas. A jury of experts confers the award, which is endowed with 20,000 euros in prize money.